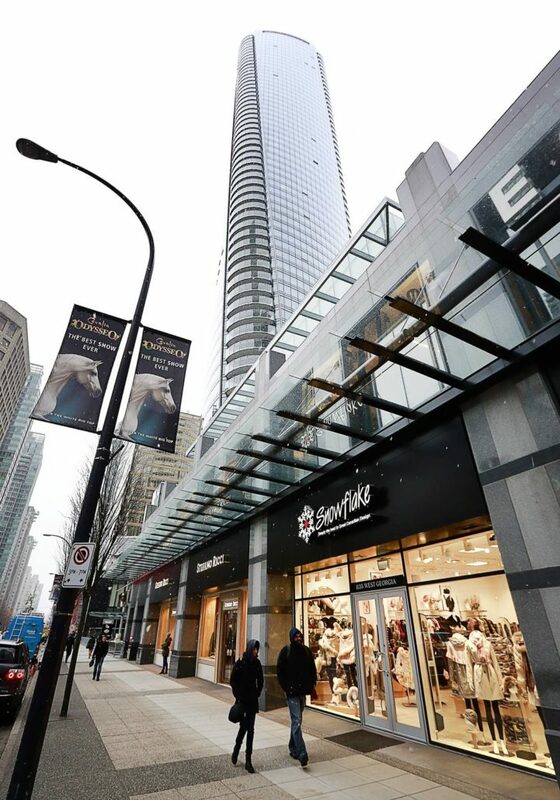 The success of Trump Tower Vancouver has quickly made developer Joo Kim Tiah a major player in the city’s development world. Developer Joo Kim Tiah, the man who brought the Trump brand name to Vancouver’s downtown skyline, looks relaxed and happy. He’s seated in a meeting room inside the Trump International Hotel and Tower on Tuesday, following the official press launch and ribbon-cutting of the project that has generated so much controversy. He’s excited to be planning a lavish party, scheduled for later that evening. Not even protesters outside the front doors can spoil the mood. He says he respects their right to protest. 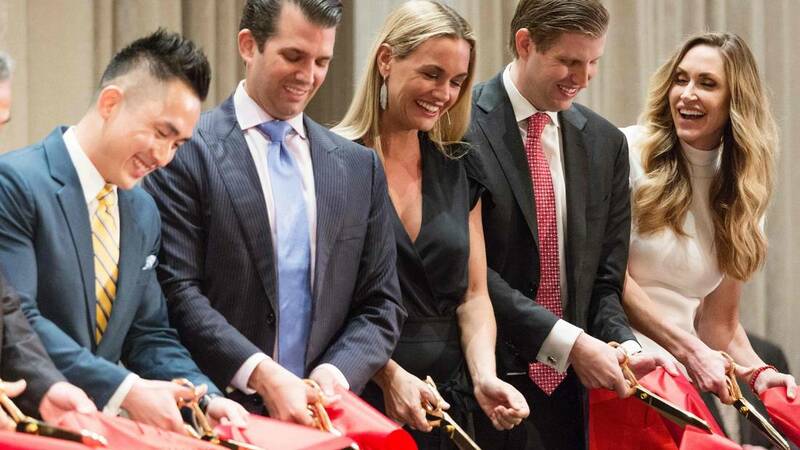 Earlier, Mr. Tiah’s father, Tony Tiah Thee Kian, one of Malaysia’s wealthiest businessmen, sat in the front row as his 37-year-old son thanked God, the purchasers, his team, the media, Vancouver city and the Trump family, for their “coveted” brand. 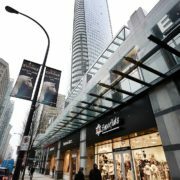 Unlike the Toronto version, which has gone into receivership, Vancouver’s Trump tower set a record for selling all 214 luxury condos at an average of $1,615 a square foot, and making that strip of West Georgia “the golden mile” of Vancouver real estate. It’s also one of the emptiest census tracts, with 22.2 per cent of the units in the neighbourhood empty, according to the recent census. Evidently, it’s not empty at the Trump tower. Despite the tourist off-season, the hotel was sold out as of Tuesday, according to staff. And at least some of the condo investors were contributing to the rental market, albeit for those who could afford it. This week there were 17 units from the tower available for rent on Craigslist, including a three-bedroom for $12,000 a month, with a three-month minimum lease. The project was a gamble that paid off for Mr. Tiah, who’d sought out the Trumps as business partners several years ago. “Don is a younger guy,” he says of Donald Trump Jr. “The children have taken over the business. They will be around a long time, so I can be assured of that continuity you know, if there’s an issue. It’s a long term relationship,” says Mr. Tiah, who is the president and chief executive officer of Holborn Group, which is also redeveloping the Little Mountain site, off Vancouver’s Main Street. Members of the Trump family, of course, were on hand at the ribbon-cutting, too – at least the ones without any political duties that could put them in a messy conflict-of-interest situation. Eric and Donald Jr. have been running the business since their father took office in January. Daughter Ivanka has taken a leave of absence as vice president of development and acquisitions. Her husband Jared Kushner is senior adviser to the U.S. president. “To be able to do something special, to be able to change the skyline, to be able to take the level of service within the market to the next level, and really bringing something to the market never seen before,” he said. Clearly, Trump Tower Vancouver is a big success story, in development terms. Although the Trump Organization has no financial stake in the condo tower, the family licensed their name and branding to the project, and operates the building. Ivanka Trump played a hands-on role in the interior design, except for Drai’s nightclub and the Mott 32 Chinese restaurant, which includes a private room decorated with antique opium pipes. The project was clearly built with an Asian market in mind. The hotel suites are on lower floors, while the condos get the best views on floors 22 to 69, accessible by a different elevator. The building is really only 63 storeys in total, however, because the number 13, and those that end with the number “4” have been omitted. Because Chinese buyers were an important part of the marketing, and the number four in Chinese sounds like the word “death,” those floors would have been bad luck, said Mr. Tiah. In a previous interview, Mr. Tiah said only 10 per cent of buyers in the tower had foreign passports. However, he also explained that most of the money that flows into Vancouver is earned in another country. That would explain how so many of the buyers could afford a price tag of $5.681-million for a 2,117-square-foot condo on the 60th floor, for example. Mr. Tiah acknowledged that there are advantages to being business partners, and good friends, with members of America’s First Family. Several times during the speeches, he and the Trump sons expressed the friendship between their two families. “At the end of the day, the relationship goes a long way in doing business, really,” says Mr. Tiah. He proposes a “massive” mixed-use project that will include retail, office, market condos and rentals. Although the city says it hasn’t received a formal enquiry from the developer about the site, Mr. Tiah says city staff has given him the kind of feedback a developer wants to hear. The success of the Trump tower has given him “credibility,” as a developer he says. Meanwhile, in Toronto, the Trump tower has gone into receivership due to poor sales, and the developer, Talon International, owes more than $300-million to the investment group it borrowed from. The Trump Organization didn’t develop or own the building, but licensed its name to it. Several investors have lawsuits against the developer. Unlike Vancouver, when that project launched, it didn’t have the benefit of a global real estate market. “The Toronto Trump building was a few years ago. It missed the wave. Had it been selling now, I think it might have sold like hot cakes,” says David Ley, geography professor at University of British Columbia, who was among the first to study the movement of global wealth. After the introduction of the 15-per-cent foreign-buyer tax, Mr. Ley predicted that the money would move into Victoria, Seattle and Toronto. He seems to have been proven right, at least according to anecdotal data. We’re now seeing signs of global buying in those markets. Although there is little data on the amount of foreign money that bought into the Trump tower, he believes it likely played a role. Mr. Tiah says he can only speculate, but he also believes the Toronto project partly failed because of poor timing. “It’s very bad for me to talk bad about other people’s projects, but what I heard, is they made a few mistakes,” he says. “The hotel rooms were for sale. They were sold for investments to anyone on the street. And, in my understanding – my opinion – is that would not work, because first of all, one thing that makes residential sales work is the financing; the mortgage. With residential mortgages, you can get a 75 per cent or 80 per cent [loan] for the first time homebuyer, something like that. But with an investment property, you would be lucky to get 50 per cent. “And also, I think the location is great for a hotel, but not really for residences. Also, the Toronto market is very different from the Vancouver market. That’s why I always say it must be the right product at the right time. In other words, Vancouver has the money to pull off such a feat.